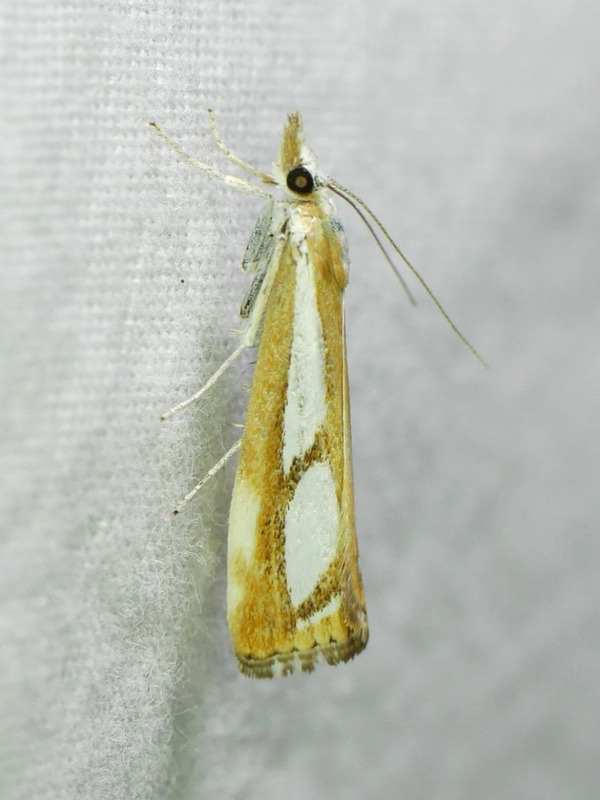 This small species of Crambid moth is restricted to boreal and montane forests in North America. Its larvae are believe to feed exclusively on mosses. As adults, these moths are active both in the day and at night and are regularly seen at lights in July and August.